This baker takes the cake! 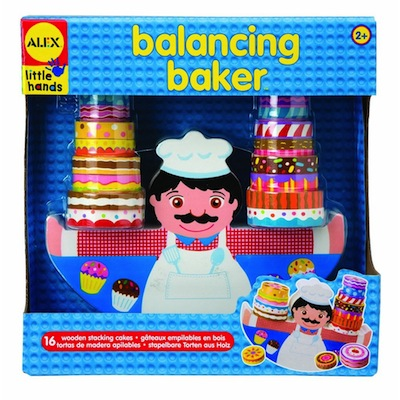 Load up 16 wooden stacking cakes on the baker's arms and watch the seesaw action. A great way to introduce children to the concepts of weight and balance.